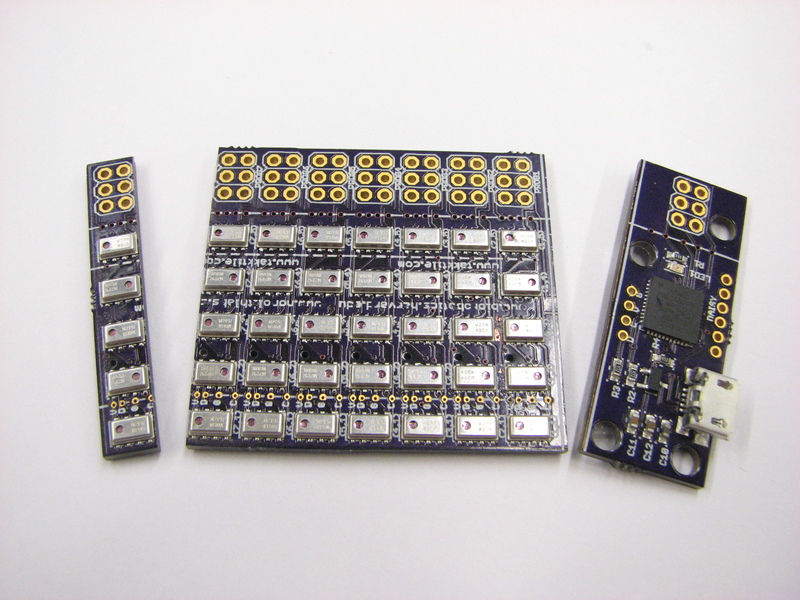 We have a set of alpha full-scale array PCBs on hand and have been debugging them busily for the last few weeks. Unfortunately shipping will be delayed by a few more weeks as this has turned up a few bugs. Once we are confident that they have been all squashed, the production order will be placed for the final set to fulfill pre-orders. 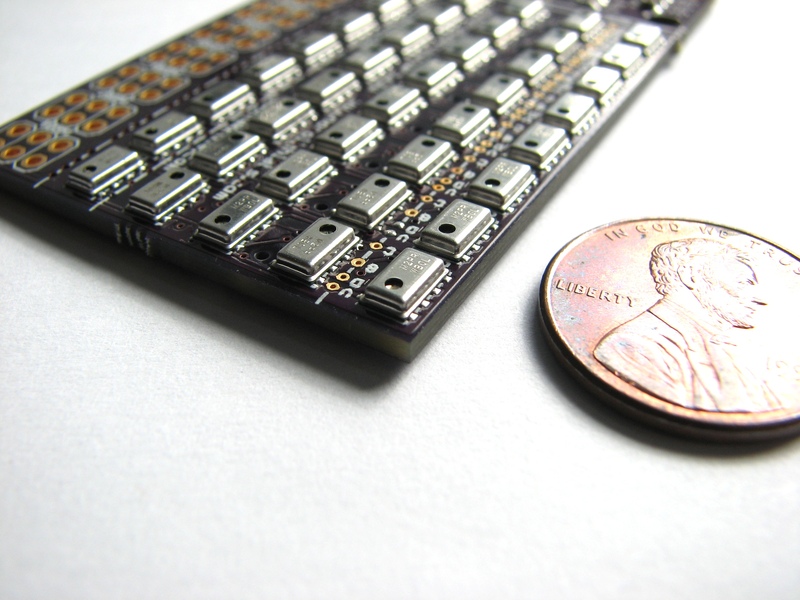 Manufacturing takes about three weeks from the completion of debugging. Though we do not have the exact day for shipping yet, the good news is we have some clear ideas on what has been causing problems (the I2C line to seize up, see more below) and have a solution in process. Tools for this are in shipment, and we'll post additional updates as work progresses. In the meantime, here's a synopsis and a few photos of the alpha production run. 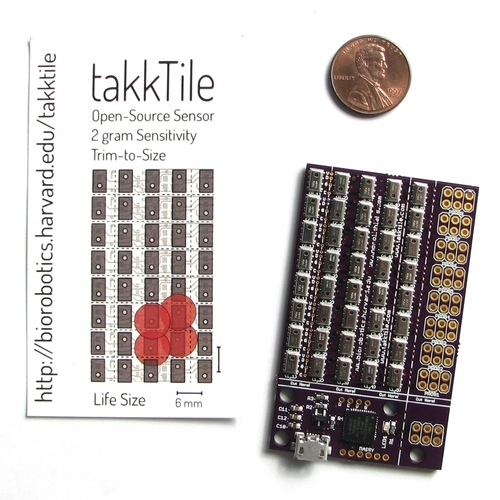 These have all 40 sensors in the 8x5 array configuration at 6mm spacing, an ATXMEGA microcontrollers for USB 2.0, and 8 more ATTINY microcontrollers to circumvent the fixed I2C addresses designed into the sensor chips. 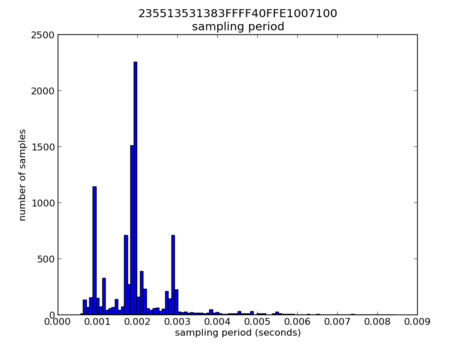 The USB library is working great — sampling speeds are averaging 1.8ms per row over 10000 samples as shown in the figure below, with higher speeds expected once we move from the USB Control Transfer protocol to a USB Bulk Transfer. We have tested installs on several fresh Ubuntu systems and on a clean Windows XP install. 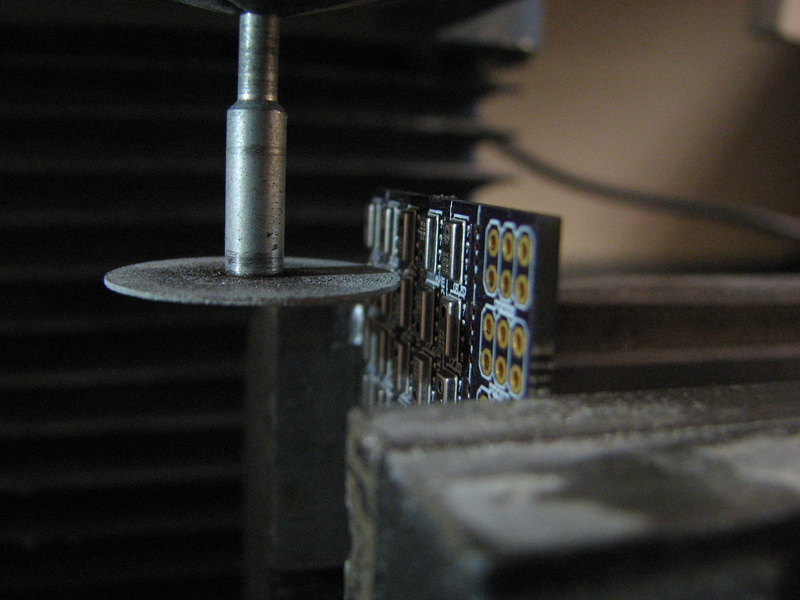 Resistance between clock and ground sometimes clocked in far too low — 80 - 200 ohms instead of 8K. 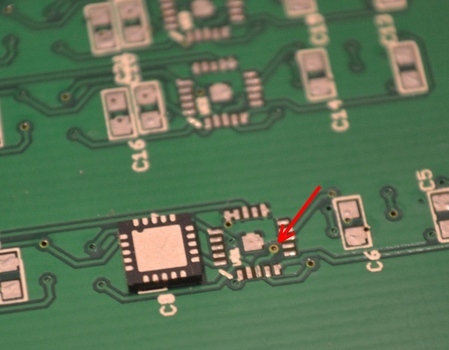 The circuit design was pretty packed for a two-layer configuration, and it appears a via under the microcontroller ground plane occasionally shorts through the solder mask (image on left — see the brown via . 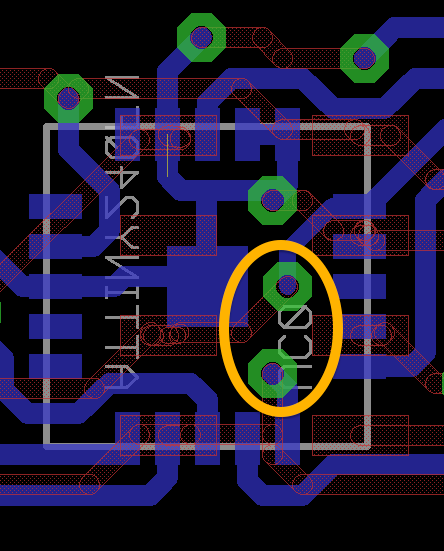 This is fortunately straightforward to fix for the final board design, and we can patch the existing ones with a drop of insulator in the meantime to test other bugs. 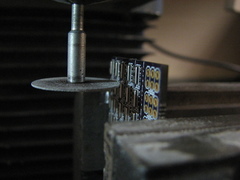 A dremel cutting disk gives an extremely clean and precise cut to separate rows.